In Part 1 of this series, we shared our research findings around connectivity for marketers and creatives. Here, in Part 2, we’re going to reveal the relationship between connectivity and digital asset management (DAM) software. After all, DAM is what Widen is best known for! The reason you create visual content to begin with is to increase and improve connections with your audiences. The creation of visual content like photos, videos, presentations and graphics is at an all-time high. And thanks to social media, smartphone cameras, cloud-based applications, and consumers’ shortening attention spans, the demand for great visuals will only rise in years to come. That just goes to show the growing importance of metadata and trained librarians (or DAMsters like you) in roles that can drive mission-critical technologies and processes. Our interview participants expanded on the barriers to visual content marketing, which I’m sure many of you can relate to. We covered some of these in our visual content marketing webinar late in 2016. Digital asset management helps overcome these challenges so you can stay focused on mission #1 — creating and sharing great content! Not only can a lack of DAM lead to inconsistent and broken processes, it can also run the risk of getting you into legal trouble with a neglect of proper rights management protocols. It’s kind of ironic to read this quote from Ashley (who is not a Widen customer, by the way) saying she pulled their logo off Twitter to use in a legal document. Which tools do you use each day at work? Here is the spread of tools our online survey respondents said they use in their work today (they could choose more than one). Is there a technology you wish you had, but haven’t found yet? When it comes down to DAM software and connectivity, there are actually multiple layers. DAM is much more than a simple repository. It’s the foundation to connect people, process, and technologies through visual content. DAM is a hub for connections of people — teams, departments, divisions and external partners — from agencies and suppliers to your sales and distribution channels. With people, the right balance of governance controls and access is not only required, but mission critical. DAM creates connections of process — with visual content at a common point between creative and marketing workflows, sales enablement, web management and the teams bridging content across all functions (from product management to customer service and HR). Extensibility, workflow, notifications and collaboration are essential functions to streamline processes. A DAM system necessitates connections of technologies that connect content to your customer experience. 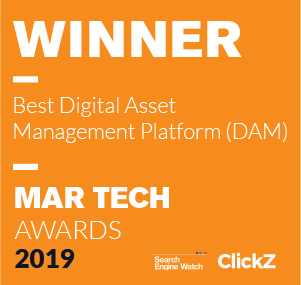 DAM is at the heart of the marketing technology stack, the proverbial engine that drives imagery, video and creative content throughout web content management (WCM), product information management (PIM), customer relationship management (CRM), marketing automation, social media and more. Again, DAM takes you beyond a storage space, because DAM is a server of connectivity. 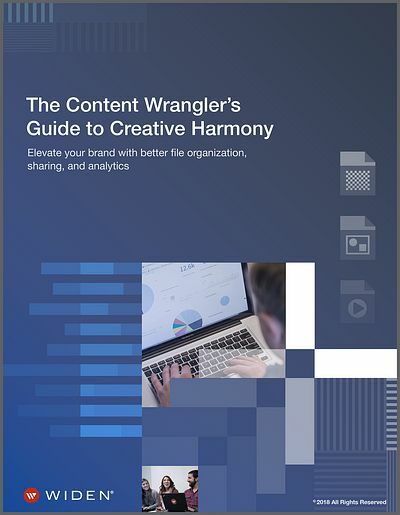 And this is connectivity from beginning to end, across the entire spectrum of the content lifecycle — from ideation to archive. This is why we refer to DAM software as your content marketing hub. As you can see, with DAM, there’s connectivity of content upstream from the earliest points of creativity, to the furthest downstream points of realizing your true potential and intent of your content in the marketplace — which is where tracking, analytics, and measurement come into play. After all, content is how humans connect with other humans. Connectivity is human! And you use data to inform how well you’re making that connection (and how to improve the connection) between humans. So, not only are we finding more connection through content, and content-serving technologies, we (as marketers and creatives) are finding more meaning in the data. Connectivity is underlined by being human. 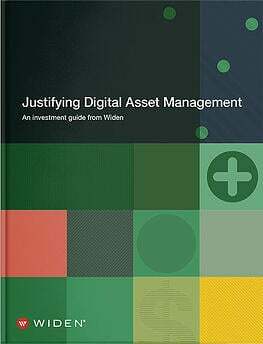 Digital asset management is the tool you use to make those human connections. It doesn’t replace the human connection, but instead helps facilitate it. 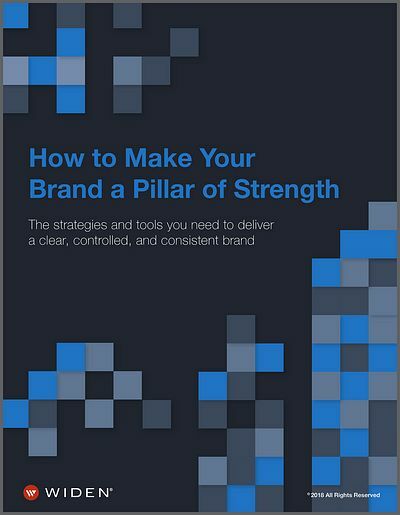 With DAM in your corner, it’s possible to connect — even with high volumes of visual content —in an effective, efficient, and relatable way. Stay tuned for Part 3 of this series, where we’ll be discussing the future of connectivity. Can’t wait for the rest of the series?